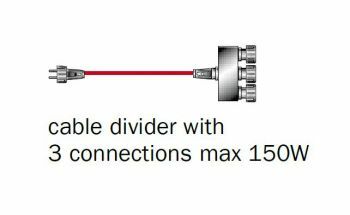 The low voltage, weatherproof 3 Way Splitter will allow up to 3 electrical items (cables, remote controller, timer etc) to be connected to 1 threaded screw connector. More than one Splitter can be linked together to create a number of 12v outlets from one connector. Each of the 3 threaded outlets is fitted with a threaded endcap, protecting the outlet from water ingress if not in use. 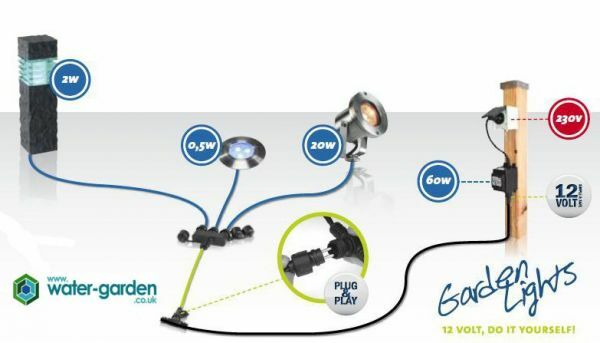 The 3 Way Cable Splitter is ready for simple connection to the LED Garden Lighting Systems range of low voltage LED Garden Lights, Connection Cables, Remote Controller, Timer and Transformer components.